We have two ensuite bedrooms at Aotearoa Bed & Breakfast. The Koru Room is a King Ensuite Room. 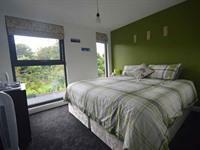 The Pukeko Room is available as either a Superking Ensuite Room or Twin Ensuite Room. 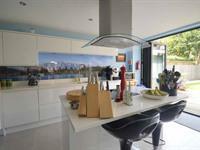 Both Rooms have Wardrobe/Clothes Hanging Facilities and Tea/Coffee Making Facilities. We specialize in Gluten Free / Gain Free / Paleo based cuisine. We can also cater for guests wanting normal Continental or Cooked Breakfast and you will be asked to complete your breakfast requirements on arrival for your stay. All food is sourced locally and freshly prepared each day. Breakfast is available and is included in the room rate. We specialize in Gluten Free / Grain Free / Paleo Cuisine and all food is freshly prepared using locally sourced or home-grown ingredients. Southport Train Station is 0.7 miles away, however, we can arrange to collect you from the station by prior arrangement. Free Parking in a secure gated yard is available to all guests.